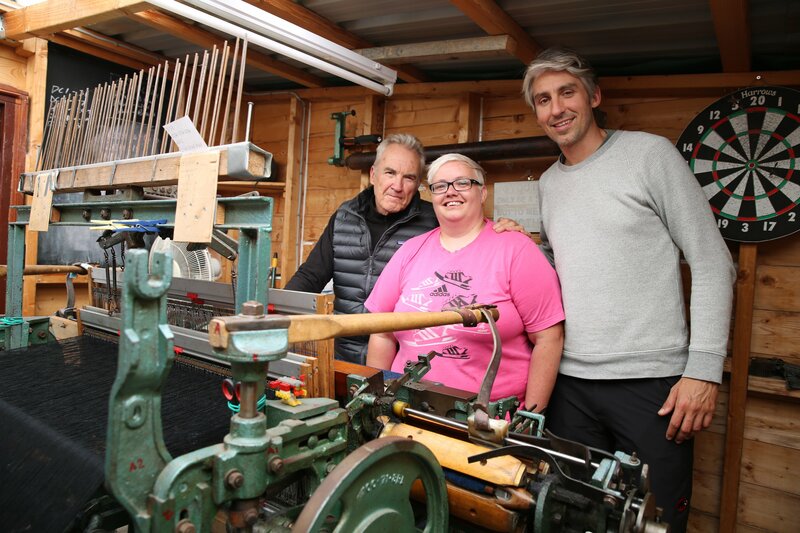 I was also involved with another few bits of filming, including the Britain by Bike series with Larry and George Lamb which was a lot of fun. 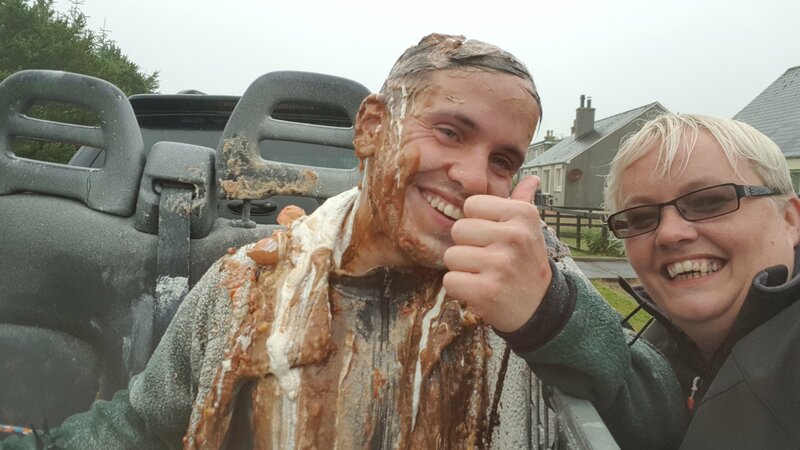 They’re really nice guys and loved their time in the Outer Hebrides. 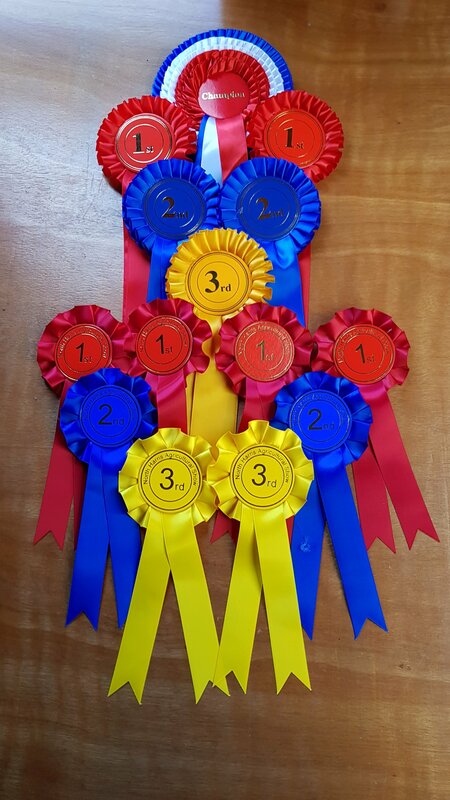 Both of the Harris Agricultural Shows went ahead this year and I entered some of my tweeds into their competitions, coming home with a good haul of rosettes and overall champion trophies from both Shows. 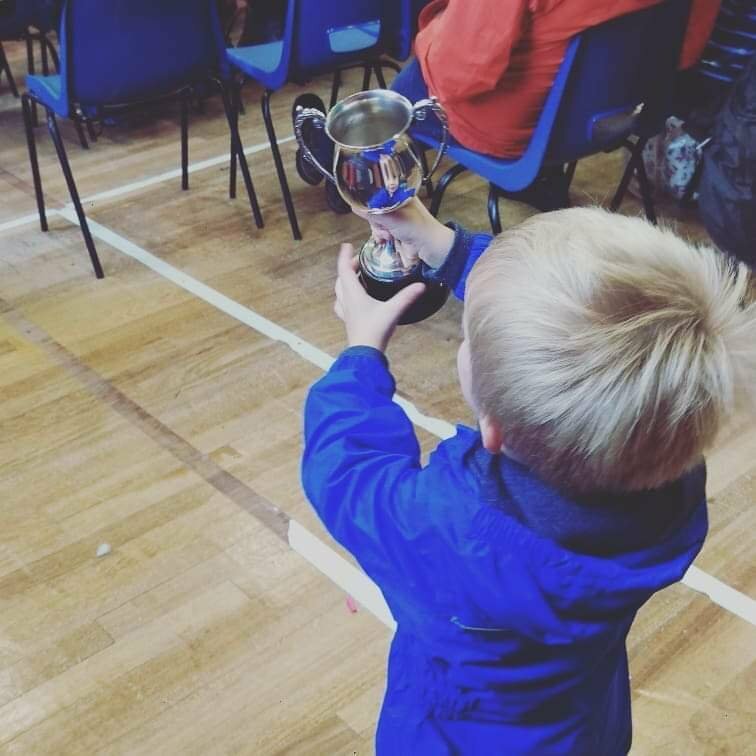 Nephew number 2 was very excited that Auntie ‘Baba’ won a trophy at the prizegiving and felt it was his duty to run after me and make sure I was able to carry it! 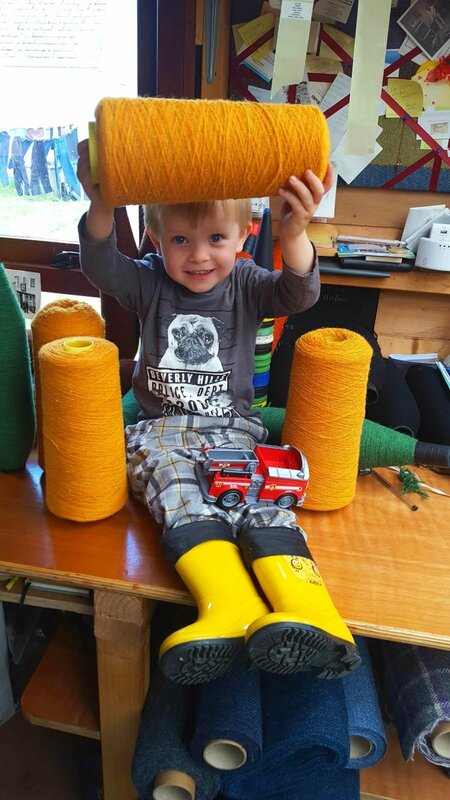 Said nephew, who’s only 3, has also discovered the joys of my loom shed and insisted on sitting on my knee whenever I was weaving and playing with bobbins and cones when I wasn’t. Never to early to start the next generation of weavers although I could do with his legs being a bit longer! Either side of a family wedding I spent time abroad. I’ve grown up with the music of Runrig, an island band who sang Gaelic songs and made Gaelic ‘cool’. After 45 years they decided to call it a day and so I went to Copenhagen to see one of their last shows and have a wee break at the same time. After Copenhagen, I went to Vienna and thoroughly enjoyed my time away – plenty of sightseeing, people watching and beer drinking! In the islands we have a tradition of blackening before a wedding and my cousin didn’t manage to escape this. The Groom is usually tied to a trailer and driven around the villages where he is covered with all manner of interesting stuff like eggs, treacle, cream, feathers, flour etc. After a brilliant wedding where, thankfully, the Groom had been cleaned up, it was time to pack my bags again. First stop was Stirling for ‘The Last Dance’. 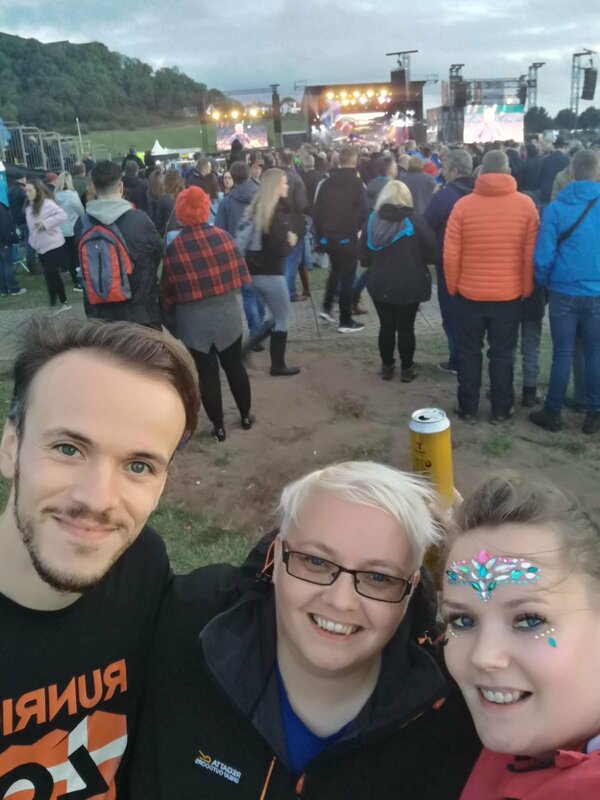 Two final Runrig concerts on the Friday and Saturday nights which were amazing but rather emotional! Then it was time to head back to the airport and this time off to America where I spent time in Detroit and Traverse City in Michigan before a week in New Orleans. New Orleans is a fabulous city and I’d recommend it to anyone, however the end of August/start of September is probably not the best time if you come from the Isle of Harris and aren’t used to that level of heat and humidity. I’m definitely built for cold weather and gales!! Back from America and it was all about the Mòd. The Mòd is a festival of Scottish Gaelic song, art and culture. When I was in School, I used to compete at both the local and National Mòd singing and telling stories/poems etc. After leaving school, I left all that and while I always followed it to see how our school got on, I never thought I’d find myself back there as a competitor. However, two years ago, my old school choir conductor got in touch to say he was going to put together a Harris Ladies Gaelic Choir for the National Mòd seeing as it was going to be in Stornoway (Stornoway is in the Isle of Lewis which is the next island up from Harris) and would I be interested in joining. I decided I was and so Còisir Bhan Na Hearadh was born. We did really well for our first outing and came 6th – you can see us performing one of our songs here. 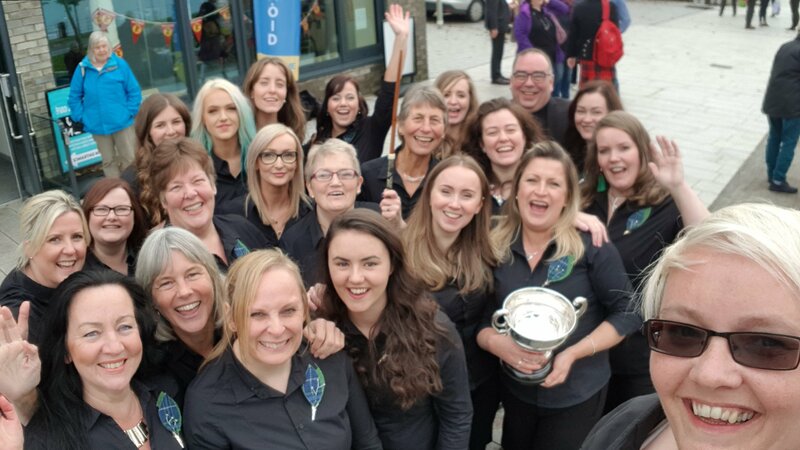 We then decided to carry on with the Choir and compete at the next National Mòd in Fort William where we came 2nd and won the cup for the highest music marks! Fast forward to this year’s Mòd in Dunoon where were nine choirs in our competition and we were last on. After some extra practice in the morning we all headed down to the venue where we sang as well as we ever have and ended up winning the competition, the conductor’s baton and the highest music marks cup!! As we won the competition, we then had to go and sing one of our songs live on the Mòd programme on BBC Alba. The last time I’d been in Dunoon, I’d been working with a local group to create a tweed for the Burgh Hall which was being renovated. As part of our celebrations we went along to see Beinn Lee, a fantastic ceilidh band from Uist, who were playing at the Burgh Hall and it was quite surreal to walk in and see the tweed I’d designed fashioned into cushions, bags and even a stag’s head! I also had a visit from the Isle of Harris Distillery who were making a wee video with me as part of the island calendar series. If you’ve not heard of the Isle of Harris Gin, where have you been?!  To see their wee video, click here. There we have it – a busy summer and not a mention of weaving!! I’ve had lots of lovely visitors to my loom shed and in between all my gallivanting, I have actually been weaving! Re-stocking my loom shed begins in earnest now though! My ‘Tweeds To-Do’ list is long and full of old favourites and also some new designs so watch this space! Thank you for all your continued support and if I don’t see you in my loom shed, I might see you at the Mòd next October in Glasgow! 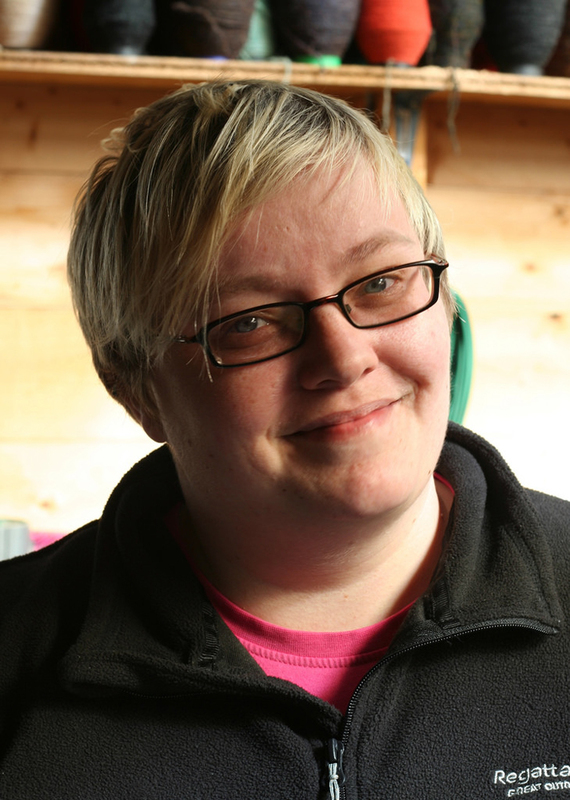 Your blog makes fantastic reading as usual Rebecca! 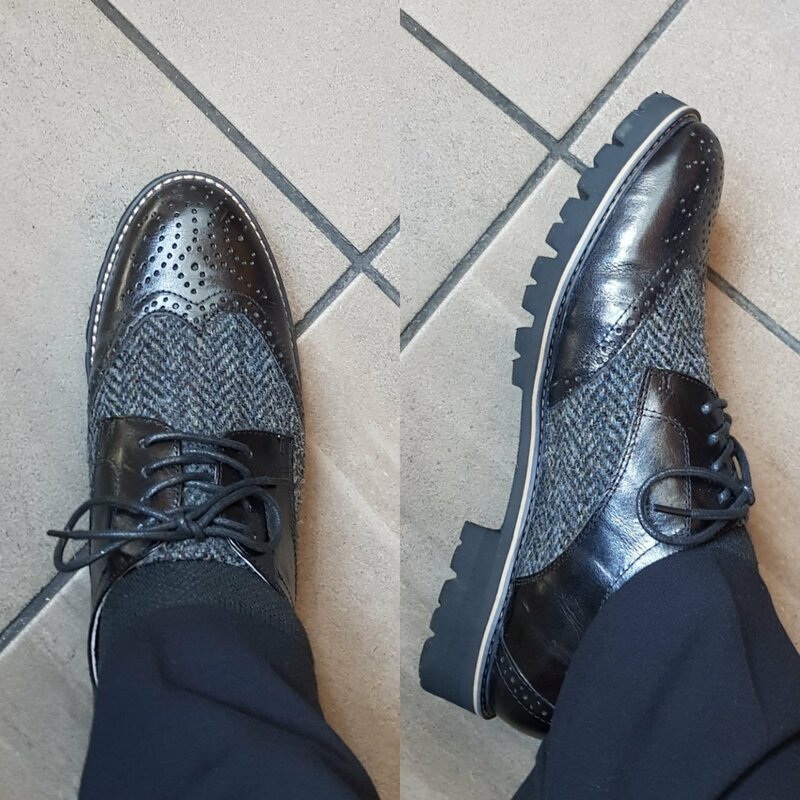 Congratulations for your tweed prizes – highly deserved! Can’t wait to get my hands on the latest designs. best wishes from “my” little forrest house at the german side of the windy Flensburg Fjord at the Danish boarder. I’ve just enjoyed the documentatin about “The return of the Harris Tweed” at arte TV, and my heart were warm, seeing you and your joy of performing colurs, designing patterns and weaving. My mum was a weaver too, practicing for herself and teaching it to other women. I love the design and the tradition of Harris Tweed and it’s way to “catch” the hyperborean landscape and it’s colours in wonderful traditional clothes. Thank you for getting in touch and for your very kind words. I’m glad you enjoyed the documentary! Merry Christmas to you too when it comes! Hi there, just saw the documentary on Arte.tv (https://www.arte.tv/de/videos/078702-013-F/360-geo-reportage/). Congratulation, that is one of the really good ones. I wish you and your family all the best, a merry christmas and jolly good 2019 with lots of success with your terrific tweed fabrics. Thank you for getting in touch and for your kind words. I’m glad you enjoyed the film! How lovely you visited the two Michigan spots I call home, Detroit and Traverse City. Hi Jeanne, there’s going to be a navy/light purple herringbone available soon so keep an eye out for it!